U.S. News Best High Schools Rankings The U.S. News rankings include data on more than 21,000 public schools in 50 states and the District of Columbia. Schools were awarded gold, silver or bronze medals based on their performance on state assessments and how well they prepare students for college. 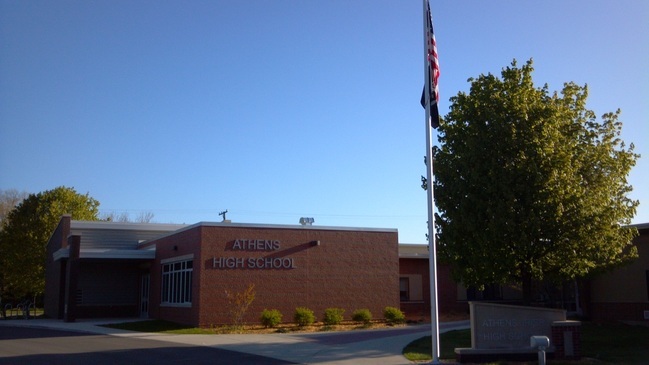 Athens High School is recognized in the National Rankings and earned a bronze medal. 2017 Rankings: Schools are ranked based on their performance on state-required tests and how well they prepare students for college. Today's softball/baseball games at Comstock have been cancelled. Saturday's track meet at Pittsford has been cancelled.